It could be said that modern business strategic thinking began in the 1960s. This was when Michael Porter began publishing his thoughts on competition and when three influential strategic consulting firms (Boston Consulting Group; Bain & Company; and McKinsey & Company) began offering strategy formulation services. 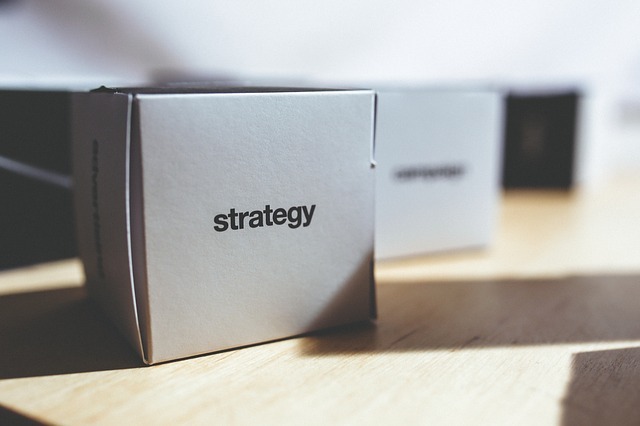 Strategy consulting is a multibillion-dollar industry with many models and implementations to help organizations set strategic goals, streamline operations and handle organizational change. Thanks to innovations such as six-sigma and lean manufacturing, many American corporations have experienced tremendous growth and profitability in the last 50 years. During this same period, trust in the U.S. federal, state and local government began to decline. Citizens started to perceive declining quality in government services while their personal tax burden was increasing. High-profile government reform efforts that borrowed from strategic corporate initiatives were launched by presidential administrations in the 1970s through now. The thought was that if it worked for business, then it should work for the government. Unfortunately, directly transferring private-sector strategies to the public sector have met with mixed results. This is because private-sector strategies work in a different environment. Private-sector organizations exist to compete in a market by gaining a competitive advantage over their rivals. Making a profit and maximizing shareholders’ returns are the driving force behind almost all corporate strategies. Private-sector organizations that are not successful quickly go out of business and disappear from the marketplace. In contrast, public-sector organizations are driven by “public value.” As described by Lusk and Birks in their book, Rethinking Public Strategy, “Public value is the value that government co-creates with its citizens and citizens value.” Mark Moore of Harvard University’s Kennedy School of Government visualizes public value as consisting of three components. First, there is the “Mandate,” the authorizing or legitimating environment of the public agency. Second, there is the operational capability and capacity of the public agency. Third, there are the “Social Mission” or public value outcomes. Public value fits in well with Lusk and Birk’s conception of public strategy as a process to create strategic intent for a policy that is delivered by a public agency. Lusk and Birks view public strategy as more than merely solving problems and serving customers. As they argue, the problem-solving perspective can narrow the public servants’ understanding of a complex issue and create short-term optimal solutions that have undesired long-term effects. In addition, treating citizens as customers is not always appropriate in all public service contexts. Is the job seeker the customer of the state employment agency? On the surface, maybe. However, Lusk and Birks assert that the job seeker is a co-producer of value. The employment agency can help the job seeker find a job. But the job seeker must show up on time for interviews, dress appropriately and take part in training designed to help him or her increase their chances of finding work. Therefore, if governments are more than just problem-solvers and citizens are more than just customers, what exactly is the role of government? Lusk and Birks advocate governments as shapers of the future. The world faces many big challenges: climate change, terrorism, resource shortages, etc. Corporations may decide to tackle these issues, but that is not their fundamental purpose. Many nonprofits exist also to take on these challenges. However, their resources are constrained and their authority is limited. The government is the only entity large enough and with the authority – given by their citizens – to tackle these problems and shape the future toward better outcomes. What is needed to develop a model of strategic thinking for the public sector? First, realize the barriers that prevent public agencies from thinking of the future. Because of shrinking resources and increasing demands for public services, agencies are forced into short-term thinking. There are often few resources to build for future capabilities or even to meet current needs. Agencies often muddle through with what they currently have. When agencies do think about the future, they see it through the “lens of now” in which policymakers just assume a linear progression of current trends. Policymakers also fail to think clearly of the future due to groupthink and expert bias. Breaking free of these barriers is the necessary first step in public strategic thinking. The second step in public strategic thinking is to examine and understand the drivers of change. The drivers of change are often demographics, technology, economics and societal. These are very broad categories, and thus, trend analysis can be helpful in spotting the most influential trends. When doing trend analysis, be wary of just extrapolating trends linearly. Change is often disruptive and what appears to be an insignificant blip now could be a significant benefit or challenge in the future. The third step is to realize that predicting a future is futile. However, envisioning several futures is not. Use scenarios to describe several different futures. Shaping the future is the best way for governments to help create public value.